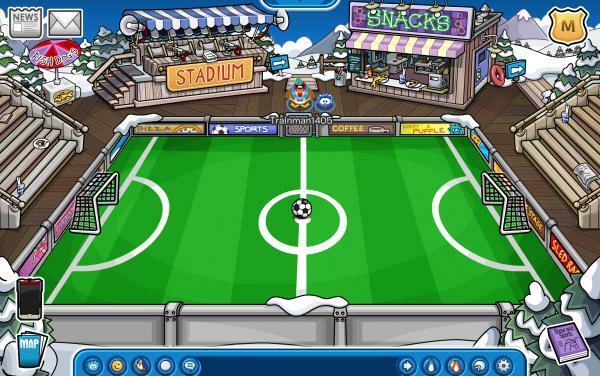 To go along with the new edition of the Snow & Sports catalogue released at the beginning of May, Club Penguin has today replaced the Ice Rink with the Stadium for roughly the next six months. Yay! Today Megg will be hosting an Earth Day meetup on the server Hockey! Below you can read her blog post containing all of the meetup’s details. We might not all like the same cookies (Peanut butter!). We might not have the same favorite color (Turquoise!). But there’s one thing we definitely have in common: We live on planet Earth! It’s a pretty great planet, right? So let’s celebrate it! Starting with all the animals. If you check the Club Penguin Times for what’s new every week like me, you may have noticed that last week Club Penguin never updated it. Why? Because, even though they haven’t publicly announced it yet, the newspaper will now be updated every other week instead. The Club Penguin Times is going to be released twice a month going forward. Please stay tuned this week for a new issue! I also apologize for the fact that a What’s New Blog post has not been released about this topic. We can’t promise that Megg will be creating a blog post about this but your concern has been heard by our Team. What are your thoughts on this change? The sasquatch is overwhelmed by your support. So many of you helped choose a name for him. Great choice, everyone! Now we have the answer to so many questions. Who is that chomping down a giant fish cake? SAM! Who is that wearing one of the fabled beta hats? SAM! Who clogged the bathroom sink with a big hairball? SAM! I kind of want to call him Sam-squatch. Let’s congratulate Sam on his new name in the comments! Which name did you vote for? Today Megg announced on the Club Penguin Blog that this week’s Penguin of the Week is Huge R5 Fan. Huge R5 Fan was nominated by Disney Fan 8. As a reward she received 10,000 coins and the Penguin of the Week Background. Gary the Gadget Guy has made some amazing devices. Check these ones out! PEW PEW PEW!! Declassified EPF documents confirmed that Gary built this training exercise. While it’s supposed to train agents to defend the EPF’s mainframe, it’s mostly just a fun game to play on coffee breaks. The windows around the Underground Pool had to be replaced. Just one problem. If they were removed, water would flood in. So Gary came up with a simple solution. He’d lift the entire island into the sky with a balloon filled of super-helium! Um… so maybe Gary doesn’t know what simple means. Do you need to help a penguin who lost their mind? There’s a device for that! This invention helped fix Rockhopper’s mind after he ate cursed stinky cheese. Now if only there was a way to fix his stinky breath. This amazing device was almost as good as Rookie at translating crab. Notice that I said “was.” This invention blew up, helping Klutzy escape the PSA (now known as the EPF). Penguins haven’t been able to understand crab radio broadcasts since. This was one of the robots that was part of the 10th Anniversary Party. Too bad Herbert had a nefarious plan for all of them. Herbert changed the bots’ coding and wired them to go nuts. Luckily, brave penguins short-circuited these mechanical menaces and once again, the island was saved! What would you like to see Gary invent? Let’s hear your ideas in the comments below! Congratulations! As a reward she received 10,000 coins and the Penguin of the Week Background. Club Penguin Blog: Spring into Another Mod Meet-Up! Posted by Trainman1405 on March 28, 2016 under Other Stuff | Comments Off on Club Penguin Blog: Spring into Another Mod Meet-Up! Later today Megg will be hosting a Mod Meetup. Here’s all the details. 3:30 PM PST is 6:30 PM EST/11:30 PM in the UK. I’ve planned a party and I want all of YOU there! SGT Sparkles and Mars Hawk have already confirmed their attendance! Since Spring is such a colorful time of year, we’ll be having a crazy color theme. Wear a lots of red, orange, yellow, green, blue, or purple! Let’s see if we can line up in a huge rainbow! Or maybe, we can organize ourselves to look like decorated eggs!